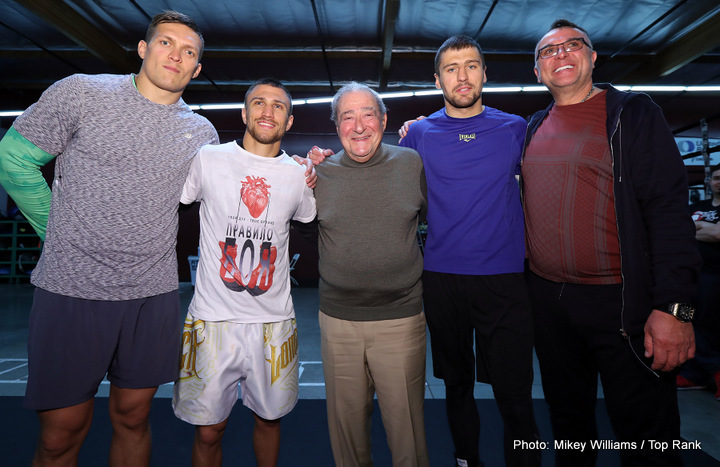 HBO Sports visits Maryland for the first time since 1979 when WORLD CHAMPIONSHIP BOXING: VASYL LOMACHENKO VS. JASON SOSA AND OLEKSANDR GVOZDYK VS. YUNIESKY GONZALEZ AND ALEKSANDR USYK VS. MIKE HUNTER is seen SATURDAY, APRIL 8 at 10:00 p.m. (live ET/tape-delayed PT) from The Theater at MGM National Harbor in Oxon Hill, Md., exclusively on HBO. The HBO Sports team will call the action, which will be available in HDTV, closed-captioned for the hearing-impaired and presented in Spanish on HBO Latino. 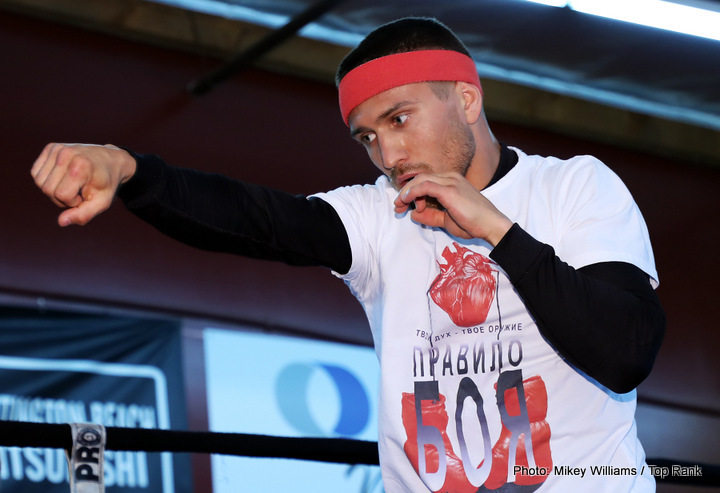 In a junior lightweight title fight, rising sensation Vasyl Lomachenko (7-1, 5 KOs), of Bilhorod-Dnistrovskyi, Ukraine, puts his crown on the line against Jason Sosa (20-1-4, 15 KOs), from Camden, NJ, in a scheduled 12-round contest. 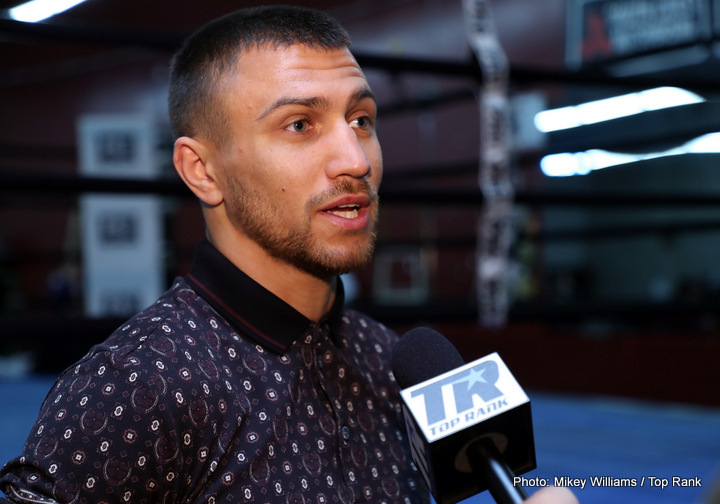 Named 2016 fighter of the year by several media outlets, the multi-talented Lomachenko is a two-time Olympic gold medalist who has become a two-division world champion after just a handful of pro fights. Known for his punching power and aggressive style, Sosa is on a five-year, 20-bout unbeaten streak, amassing a 70% knockout-to-win ratio along the way. 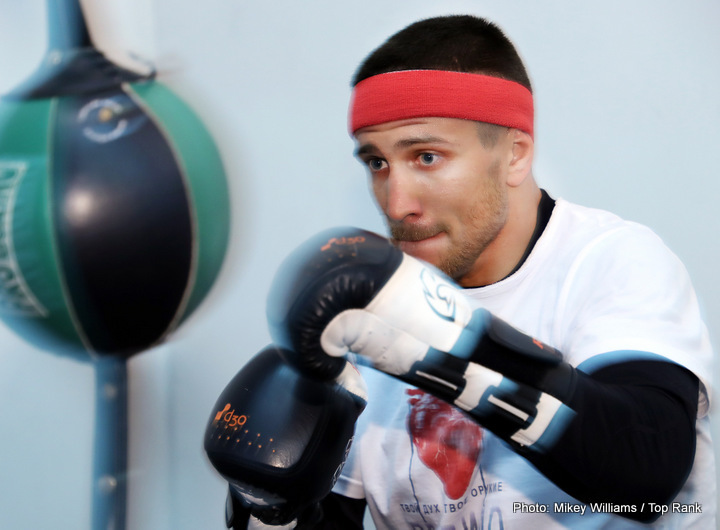 With more professional ring experience, Sosa looks to derail Lomachenko’s momentum in the 130-pound division. 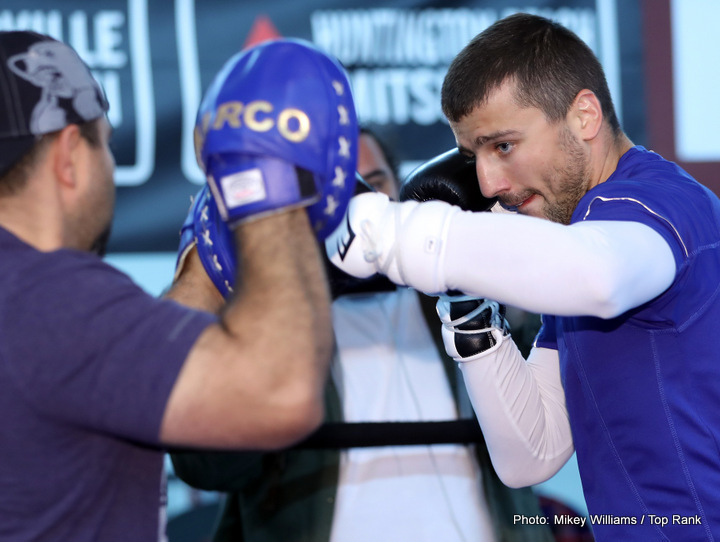 The middle bout is a ten-round light heavyweight fight that pits Oleksandr Gvozdyk (12-0, 10 KOs) from Kharkiv, Ukraine, against Yuniesky Gonzalez (18-2, 14 KOs), a native of Pinar del Rio, Cuba, who now lives in Miami. 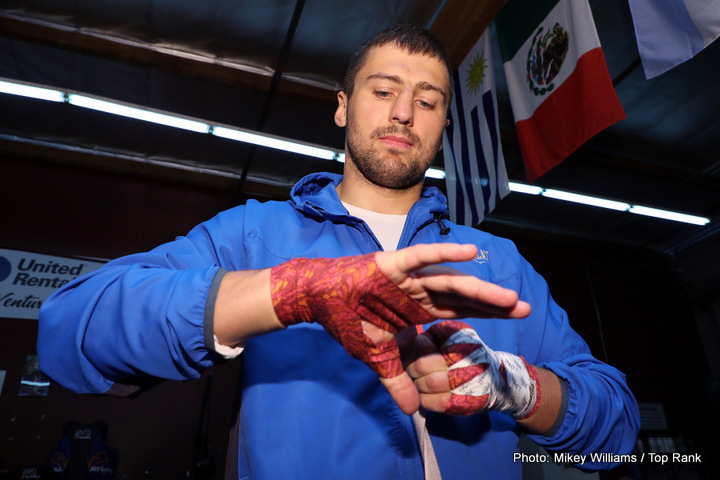 Gvozdyk captured the bronze medal as a member of the 2012 Olympic team, which also included the other two Ukrainian fighters on the evening’s card. Gonzalez also has a rich amateur background, with more than 300 fights in his native Cuba, a hotbed of amateur boxing stars. Both men look to make a major impression in the talented 175-pound division. Undefeated fighters vie for a cruiserweight title in the opening bout, as Aleksandr Usyk (11-0, 10 KOs) from Kiev, Ukraine, makes his second HBO appearance for a 12-round tilt with Mike Hunter (12-0, 8 KOs). Defending his 200-pound title belt, Usyk, a 2012 Olympic gold medalist, trains in Onxard, Cal. Hunter hails from Las Vegas and was a member of the 2012 U.S. Olympic Team. 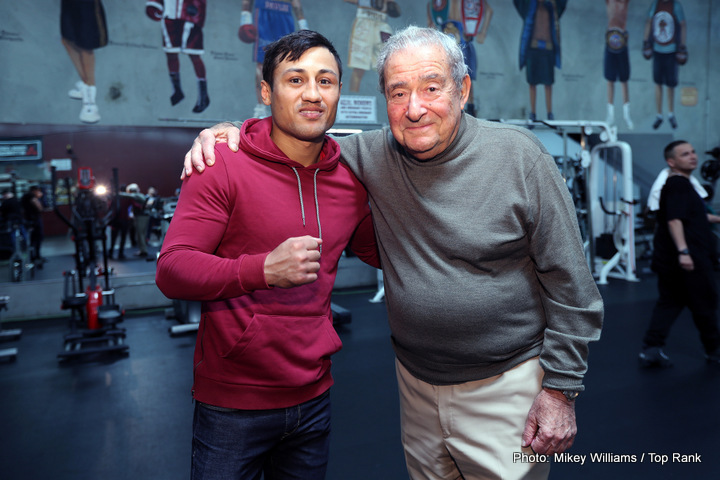 The executive producer of WORLD CHAMPIONSHIP BOXING is Rick Bernstein; producer, Jonathan Crystal; director, Johnathan Evans. 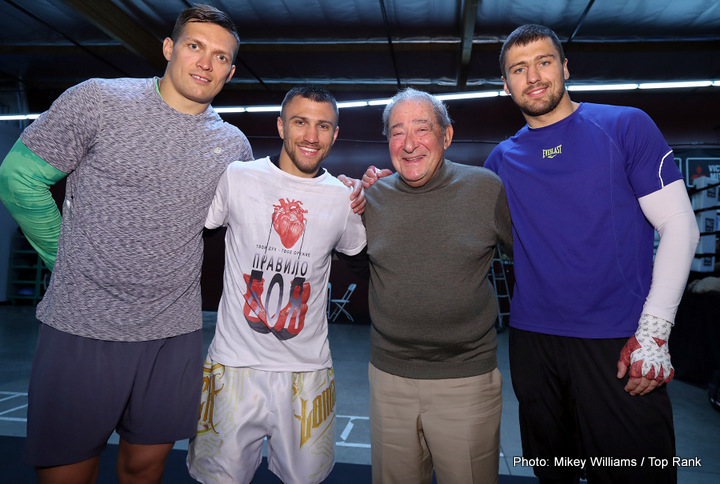 Undefeated champions and 2012 Ukrainian Olympic medalists VASYL LOMACHENKO, ALEKSANDR USYK and OLEKSANDR GVOZDYK hosted a Media Workout at World Boxing Gymnasium in Oxnard, Calif. today. 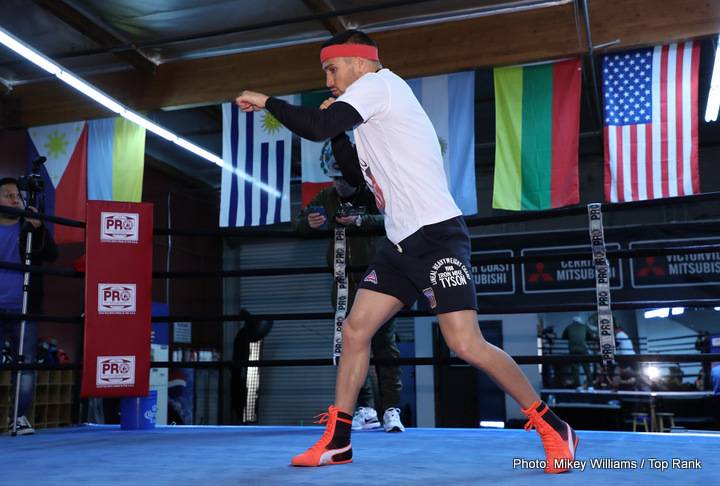 All three are in deep training for their title defenses, which will take place Saturday, April 8, at The Theater at MGM National Harbor in Oxon Hill, MD. The event has been sold out for weeks. 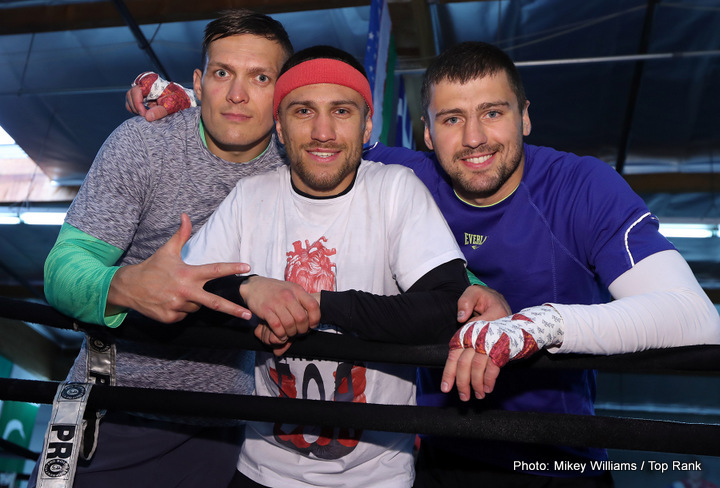 Promoted by Top Rank®, in association with Peltz Boxing Promotions, K2 Promotions, K2 Promotions Ukraine, Joe DeGuardia’s Star Boxing and Kiddar, the three title fights will be televised live on HBO World Championship Boxing, beginning at 10:00 p.m. ET/PT. 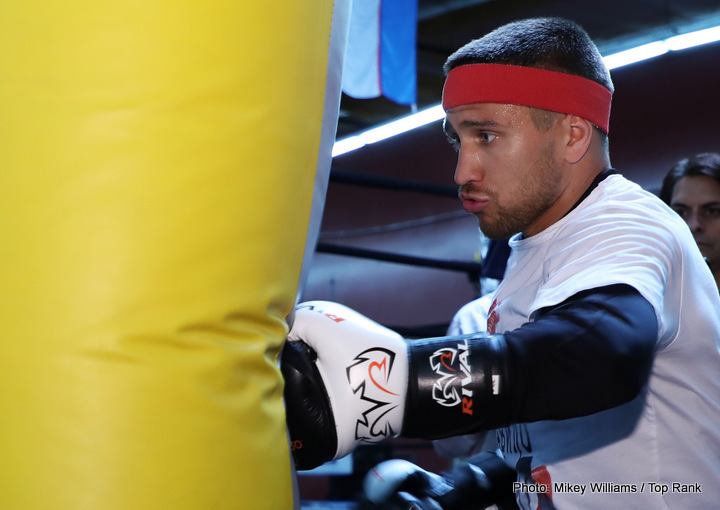 Lomachenko (7-1, 5 KOs), of Bilhorod-Dnistrovskyi, Ukraine, arguably boxing’s top pound for pound fighter, makes his 2017 debut coming off a year that saw him named “Fighter of the Year” by several media outlets. Already a two-division world champion and a two-time Olympic gold medalist, Lomachenko will be defending his World Boxing Organization (WBO) junior lightweight world title against former World Boxing Association (WBA) super featherweight world champion JASON “El Canito” SOSA (20-1-4, 15 KOs), from Newark, NJ. Usyk (11-0, 10 KOs), from Kiev, Ukraine, and a 2012 Olympic gold medalist, will be defending his WBO cruiserweight world title against Top-10 contender MIKE HUNTER (12-0, 8 KOs), from Las Vegas, Nev. Gvozdyk (12-0, 10 KOs), from Kharkiv, Ukraine, a 2012 Olympic bronze medalist, enters this fight having won 10 of his last 12 fights by knockout. He will be defending his NABF light heavyweight title against YUNIESKY GONZALEZ (18-2, 14 KOs), a native of Pinar del Rio, Cuba, who lives and trains in Miami, Fla.